The Mayor’s Commission on Disabilities exists for two purposes. It provides guidance to the City of Hammond in matters concerning disabilities, and it works with other Hammond organizations to link services to individuals with disabilities. The majority of Commission members are disabled themselves, and other members serve as advocates for the disabled. The Commission, formed in 1985, holds monthly meetings, sponsors a ramp assistance program that provides assistance to residents with the installation of wheelchair ramps, and hosts an annual awards breakfast that honors individuals, local businesses, and organizations that have improved the lives of the disabled. The Mayor appoints people who live and/or work in Hammond to the Commission. Each member serves a three-year term and may be reappointed. 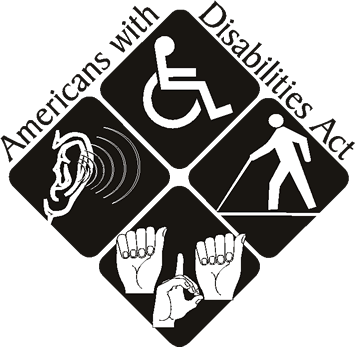 The Americans with Disabilities Act (ADA) became federal law in 1990. It forbids discrimination against otherwise qualified individuals on the basis of physical or mental handicap. This law is designed to end most physical barriers to disabled in employment and in the use of accommodations, transportation, and telecommunications.